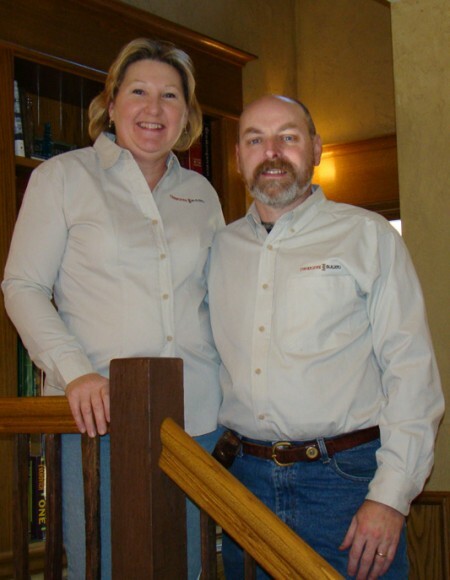 Founded in 1996 by Martin and Karen Pruitt, Cornerstone Builders, Inc. is a reflection of a unique approach to building and design. It is Martin’s attention to detail, a desire for a high-level of quality, and ability to do the best job possible for our clients that drives the company. Cornerstone has a reputation for a comprehensive evaluation of a project throughout the design and budgeting process, through to the final construction phase. The project managers and lead carpenters oversee the day-to-day operations at the job site, making sure the quality and craftsmanship is consistent in every possible aspect. When you begin a construction project, you need someone who has a reputation for high-values, building expertise, and a passion for details. Cornerstone Builders, a solid foundation to build upon. Martin also owns and operates Birch Bluff Fine Furniture and Woodworking. He graduated from the Cabinet & Furniture program at the world renown North Bennet Street School in Boston Massachusetts. Martin’s woodworking skills allows Cornerstone Builders to custom match mouldings, sidings and architectural details that give each of our projects that truly distinctive custom look.